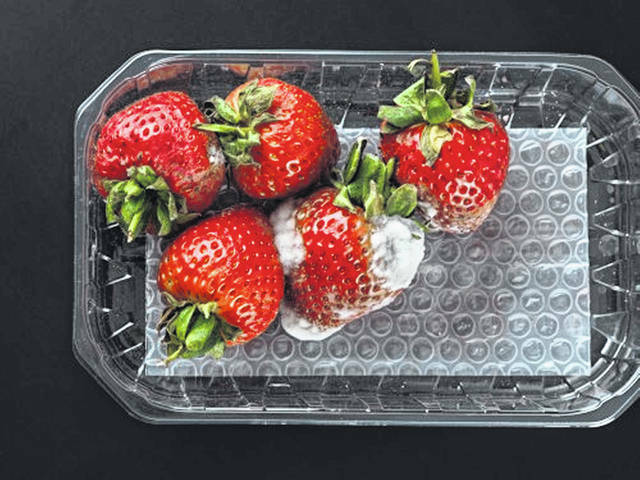 Food spoilage can occur more quickly in perishable foods depending on the impact of temperature, heat, humidity, light exposure, oxygen and the growth of microorganisms. Question: How do I know when an item of food is spoiled? Answer: That really depends on the food item in question. Food spoilage can occur more quickly in perishable foods depending on the impact of temperature, heat, humidity, light exposure, oxygen and the growth of microorganisms, all of which could cause a food item to be unpleasant to eat. Microbial spoilage can occur more quickly when foods are exposed to unsuitable conditions, which can result in the growth of bacteria, molds and yeast. “While these microorganisms may or may not be harmful, the waste products they produce when growing on or in food may be unpleasant to taste,” according to the USDA. One way to prevent or lessen the chance of your food spoiling before you get a chance to eat it is to follow proper food storage methods. Storing foods properly can greatly impact their quality and safety over time. For easy access to specific storage information, you can use the USDA Foodkeeper app. The app, which was just updated this month to include 85 more food items, helps consumers know how to avoid food waste through its information on how to store foods for maximum quality and information on how long certain foods last. The app includes tips on how to store more than 650 food and beverage items that are available in an online data feed. Each time a user opens the Foodkeeper app, it will check the data feed for updates on food safety issues. The app also provides guidance on how to store condiments and sauces. The app offers storage timelines for each product if it is stored in the refrigerator, freezer or pantry and cooking information for several types of food. The storage of unopened and opened food packages is also addressed. The app can also send reminder alerts to your smartphone when a food item you’ve listed may soon spoil and can alert you to food safety recalls. Users can access cooking tips, safe food handling information, and cooking temperatures for various types of meat, poultry and seafood products. The app offers mobile accessibility and is available for Android and IOS devices. It can also be accessed online at FoodSafety.gov/FoodKeeper. The app provides information in English, Spanish and Portuguese.